Gentelmen, where and how do I report a problem with a buyer who said he would buy my airplane but won't honor our agreement? If nothing material changes hands you don't have a contract. Perhaps you should just move on and not get into a he-said-he-said war on this forum. Then again, some of us enjoy them. like rgburrill was saying, unless money/material has changed hands, not much can be done. Although they may have said they would buy you're item, they're not necessarily obligated to follow through if nothing has been exchanged yet. 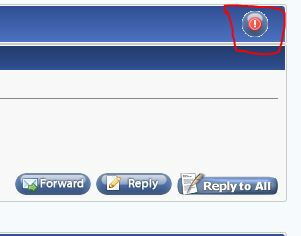 If you must, though, you can report a comment or message via the red icon that I have circled.